While you can connect many models of Apple displays to a laptop via USB-C, you can’t pass power, too, in a reliable manner. I sometimes forget how many working Apple displays of all vintages remain out in the world. What reminds me is the regular email from Macworld readers asking about connecting them up to the Thunderbolt 3 MacBook Pro laptops that Apple started shipping in late 2016. Today’s question is about power, but because we receive so many queries, I want to review the overall legacy display issues for everyone, before digging into that specific answer. The current series of MacBook Pros offer super-high-speed Thunderbolt 3 connections over the USB-C plug standard, and can work with a variety of monitors that support DisplayPort, a now long-running video display protocol, via direct USB-C connections and through adapters. You can consult this article, from February 2017, about connecting LED Cinema Displays. (Some of the docks and adapters have changed or been discontinued since then, but many remain available.) And you just need a Thunderbolt 2 to Thunderbolt 3 adapter to plug in a Thunderbolt Display. 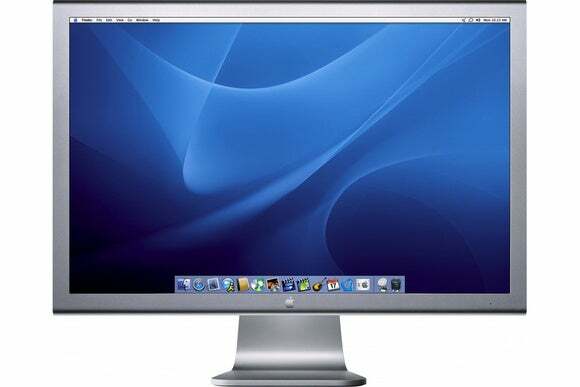 Now, both the LED Cinema Display and Thunderbolt Display series included MagSafe connectors, so you could plug a Mac laptop into the display and charge it at the same time. Macworld reader Scott wrote in asking if there were a way to use his LED Cinema Display with his current Thunderbolt 3 MacBook Pro. My proviso: Reader Scott followed up his initial query that he’d found a MagSafe adapter for USB-C. My reaction: [emoticon here that we can’t show on Macworld]. The reason? Apple has never licensed its MagSafe power adapter. While it’s not rocket science, it’s the kind of thing that—like with Apple’s MFi program for certifying devices to work with iOS hardware—I’d want to know Apple had signed off on before I plugged it into my computer. On Amazon, you can find three MagSafe-to-USB-C adapters, and these would ostensibly work with the two series of displays mentioned above. But read the reviews, and you find even on the longest-available and best-liked one, a substantial number of people leaving one-star comments about overheating and other trouble. I wouldn’t risk it for the convenience of one-fewer cable. I’d rather buy a second USB-C charger, and leave that in place alongside my monitor. We’ve compiled a list of the questions we get asked most frequently along with answers and links to columns: read our super FAQ to see if your question is covered. If not, we’re always looking for new problems to solve! Email yours to mac911@macworld.comincluding screen captures as appropriate, and whether you want your full name used. Every question won’t be answered, we don’t reply to email, and we cannot provide direct troubleshooting advice.